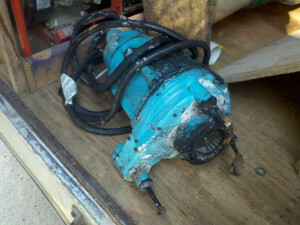 We provide sewer pump service in Missouri for all types and applications. We are going to cover a variety of each sewage pump that will give you an understanding of their functionality and purpose. There are many slang terms used for these such as “septic tank pump”, “septic system pumps”, “lateral line pumps”, “sewer sump pumps” and so on. No matter what your preference is for referencing your sewer pump, at Envirotek Systems we can diagnose, repair and install for all your maintenance requirements. An effluent pump is made to pump only the liquid part of sewage. These pumps come in different configurations. 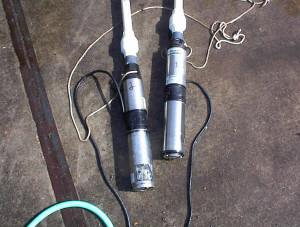 Some resemble a sewage pump and others resemble a water well turbine pump. They are often found in septic tanks within a pump screen or filter housing. Others are found in a separate tank referred to as the pump tank. The most common causes and needs of effluent pump repair are due to improper installation along with improper choice of controls operating the pump. A grinder pump has rotating and stationary cutters that cut up solids not normally found in sewage. They are capable of grinding such materials as feminine products, underwear, wash rags and towels into small particles before they enter into the impeller. They are typically used in conjunction with a low pressure sewer system which utilizes small diameter pipes. Most grinder pumps are in the 2 horsepower range and typically require control panels for operation. We offer grinder pump repair services for all makes and models. A lift station is any basin or tank with one or more pumps which transfer sewage under pressure to a different location, typically to a higher elevation. They are generally used in a facility which serves multiple homes as in a subdivision or a neighborhood. These often pump sewage to a sewer treatment plant and will normally have heavy high horsepower pumps. 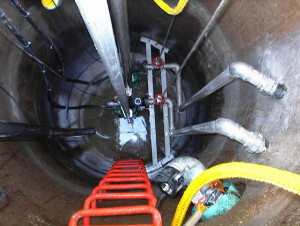 We provide service for lift stations and we use proper safety equipment to enter these often deep and confined spaces. Why does it have two pumps? If your lift station has two pumps then chances are it is an engineered system. Yours probably discharges to a sewer treatment plant permitted by the Missouri Department of Natural Resources (DNR). One of the common requirements of DNR is to have a minimum of two pumps. These lift station systems are meant to be more reliable and to offer advanced notice of a pump failure or other problem via an audible and visual alarm. Unfortunately, the design of many systems we have serviced has allowed for both pumps to fail before our customers were aware of any problems. Envirotek Systems has a solution to keep this scenario from happening. A marina pump is used to extract sewage from holding tanks of vessels including house boats and cruisers. We have developed a proprietary combination of pumps and controls for marinas. We sometimes use combinations of different styles of pumps in marina applications depending on different variables such as terrain and distance of final discharge point. One of our marina customers who typically would spend 45 minutes pumping a houseboat now pumps the same houseboat in less than 10 minutes.